Following on from the success of the first Stanford Expo Event held last year, the owners of Stanford Coachworks, Jess Rider and Lee Wiggins, decided to repeat the exercise this year. As last year, the event was based at the Brands Hatch Motor Racing Circuit in Kent and followed a similar pattern with a large and varied display of Stanford’s coachbuilding skills and strong support from the supply industry. For the adventurous (but not me) there was also the chance to do some hot laps of the Brands Hatch circuit in a range of high performance vehicles. Some were even lucky enough to be taken around the circuit by Lee Wiggins himself in the Caterham 7 that he regularly and successfully races in his spare time. Alongside all these attractions there were also practical demonstrations by CTT Training and the UK Special Ambulance Services. CTT demonstrated the correct procedures for loading passengers in wheelchairs into vehicles using tail lifts; tying wheelchairs down in vehicles and deploying restraint systems for passengers and emergency vehicle evacuation procedures. UK SAS demonstrated their range of Stanford built special ambulances and the various specialised systems fitted to them. They also staged a mock road traffic accident to show how their staff attend and treat the injured patient. The vehicle display emphasised the wide span of products produced by the Stanford-le-Hope, Essex company. Its diverse product range has been key to the way it has successfully ridden the economic problems of the past few years. Naturally, since it is their mainstream product base, accessible vehicles dominated the display but emphasising the breadth of their range, these covered an extensive range of base vehicles. As both a customer and a trade supporter of the event, London Hire featured strongly. Stanford has long been a key supplier to London Hire and on show were three different vehicles from this year’s Stanford built intake. 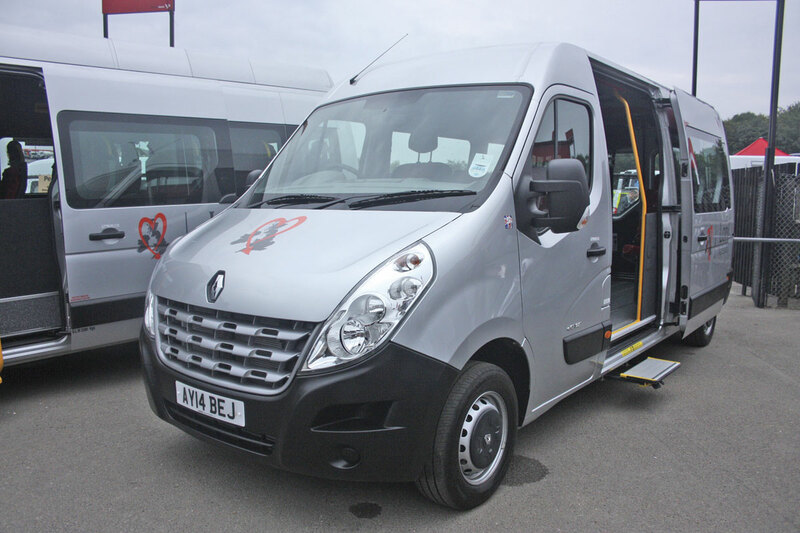 Smallest of the vehicles was a long wheelbase dCi 125 Renault Master with semi-automatic transmission. It featured an extra step at the side entrance and a rear mounted PLS in-board tail lift. The vehicle could seat eight passengers in the saloon or alternatively three seated passengers and three wheelchairs. Peter Moxon from London Hire told me that vehicles of this size were a new venture for the company but already they were proving very popular, primarily because they could be driven by drivers without a D1 licence classification. Alongside the small Renault was an example of the biggest Master a dCi 150, again with semi-automatic transmission. It was one of the recently introduced examples which are fitted with twin rear wheels. The vehicle had Stanford’s own fold out entrance step arrangement with in-built handrails, and a rear underfloor PLS Access Lite cassette tail lift. 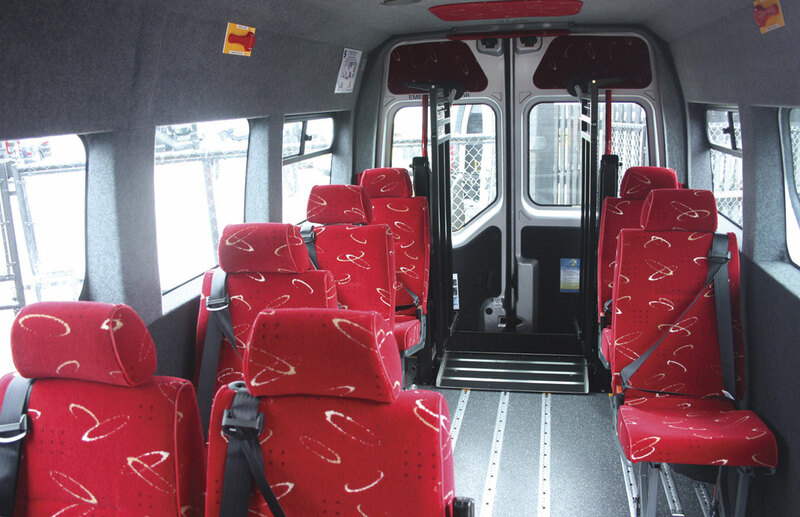 Seating in the saloon was provided for 15 passengers but the vehicle can alternatively carry five seated passengers and up to two wheelchairs. This was built very much to the standard high level specification as used by London Hire on the bulk of its van conversion hire fleet. That fleet is dominated by the five tonne Mercedes-Benz Sprinter. Peter told me that they had decided to experiment with using the Renault Masters because they represented a significant capital investment saving over the equivalent Mercedes-Benz based vehicles. Although it was early days, he had already been impressed with the reliability and economy of the Renaults. To emphasise that the Mercedes-Benz Sprinter remains a key model for London Hire, an example was also shown. This was a Sprinter 513 automatic with sliding side entrance door, Stanford fold out step and a specification broadly similar to the larger Renault. One always looks to Peter for innovation and he didn’t disappoint. 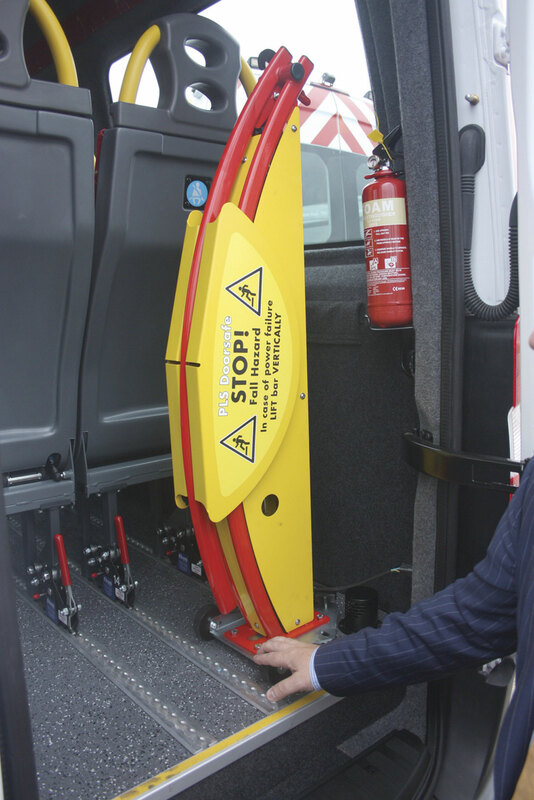 The minibus was fitted with a PLS Door Safe, a device to prevent people stepping out the back of vehicles when the rear doors have been opened and the tail lift has been lowered. This kit is now provided by PLS in a form that can be fitted into the vehicle tracking and plugged into the vehicle’s electrical system. This means it can be easily switched from vehicle to vehicle. London Hire has always been highly safety conscious and an area that I know has been worrying Peter Moxon for some time is incidents involving cyclists being caught up the nearside of a vehicle when it is making a left turn. It has become a major problem in London particularly since the explosion of cycling in the capital following the campaigning of Boris Johnson, the Mayor of London. To guard against such incidents the vehicle was fitted with an alarm system. Along the side of the vehicle and at the rear are large yellow light units which flash immediately the left turn indicator is used. They also give an audible message to alert cyclists to the fact that vehicle is turning left. Peter said that it had already had positive results and they are looking to extend the fitment of the equipment to other vehicles on the fleet. All vehicles were fitted with Rescroft CT Lite Space seats, another innovation developed by Peter in collaboration with Rescroft and NMI. The seat cushions tip up allowing the seats to be packed together by sliding them along the tracks. This enables a wheelchair space to be created without the need to remove seats. Burnt Tree Access-a-Bus is another key rental company customer of Stanford, indeed they have been supplying the company ever since it first went into minibus hire. 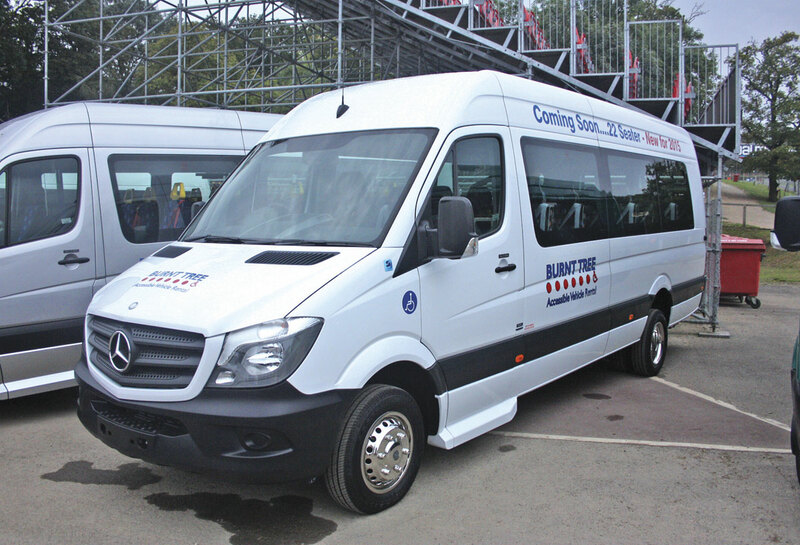 As with London Hire, Burnt Tree was a trade supporter of the event and also had three vehicles on show. However, the big story from Burnt Tree didn’t directly involve the vehicles on Show, it was the news that the company had been taken over by Enterprise Rental, the largest car and van rental company in the UK. 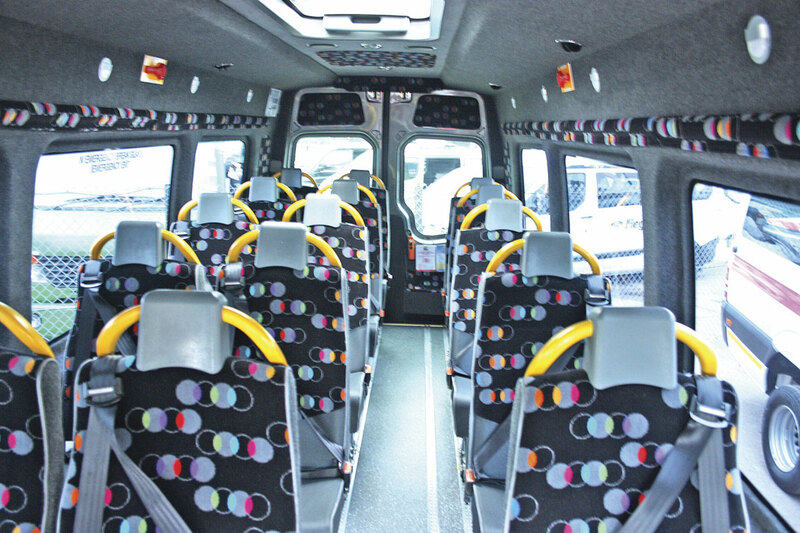 Simon Cassidy, who has been the driving force behind Burnt Tree Access-a-Bus since it was started, said he felt that it could only mean good things for the company. 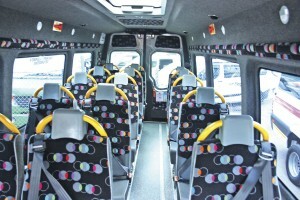 He pointed out that the acquisition was an expansion by Enterprise into the commercial sector in which they had previously not had a presence and was in line with their plans to expand the size and scope of the operation significantly He thought it was unlikely to result in job losses, in fact he felt it would see the commercial side and particularly the minibus and accessible minibus sectors being expanded considerably. Burnt Tree’s main exhibit was a new type of vehicle for them in the shape of their first Mercedes-Benz Sprinter 513 auto. It seated 22. 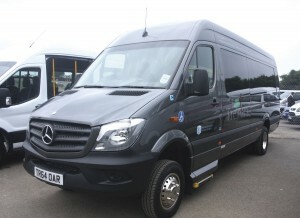 This used the longest wheelbase version of the five tonnes Sprinter and had a front entrance. Alongside it was a more conventional Burnt Tree Mercedes-Benz Sprinter 513 automatic with a front entrance. It seated 16 in the saloon or three wheelchairs and six seats. Wheelchair loading utilises a rear underfloor cassette mounted PLS Access Lite tail lift. The third of the Burnt Tree exhibits was a smaller Citroen Relay. This had saloon seating for eight or alternatively could carry three seated passengers and three wheelchairs. It featured an extra step at the side entrance and a rear mounted PLS in-board tail lift. Like London Hire, Burnt Tree is aiming it at people who do not possess a D1 licence category. Stanford, probably somewhat due to its location, has always been a major supplier to London Boroughs. Representing that sector was a Mercedes-Benz Sprinter 513 automatic for the London Borough of Redbridge. 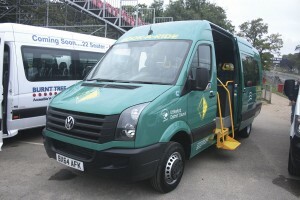 The vehicle had a cab entry doorway with extra step and seating for 15 or alternatively six wheelchairs. Again tail lift choice was the rear underfloor cassette PLS Access Lite. 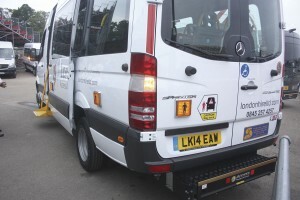 For Treloars Trust, an educational facility at Alton in Hampshire that caters for severely physically disabled young people, was a very special Mercedes-Benz Sprinter 516 automatic conversion, my first experience in the UK of a four wheel drive Sprinter being converted into an accessible minibus. It had Stanford’s design of full height front entrance with extra step and a rear underfloor cassette tail lift again a PLS Access Lite unit. Fifteen quite luxurious seats featured in the saloon or alternatively three seated passengers and six wheelchairs. 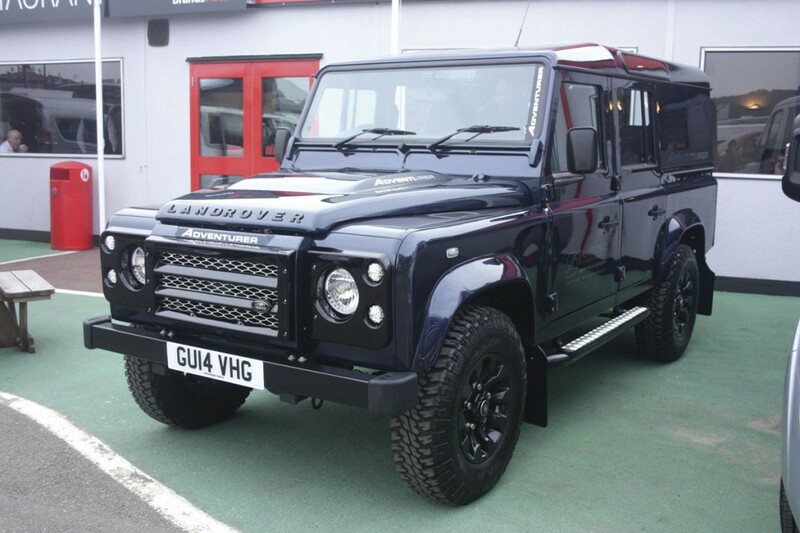 I asked Mark Copping, Treloars’ Transport Manager, why they had decided to buy a 4×4 vehicle. He cited the recent very wet winters which had seen many areas of the south of England, particularly counties like Hampshire, suffering extensive flooding. He went on to say that the Treloars Centre is in a rural location and they had experienced severe problems at times accessing the facility so had decided that it needed to have at least one 4×4 vehicle on the fleet that could cope with those conditions. The vehicle was officially handed over to Mark Copping and staff and residents of the Treloars Trust by Stanford’s Sales Executive, Mike Gasper, during the event. 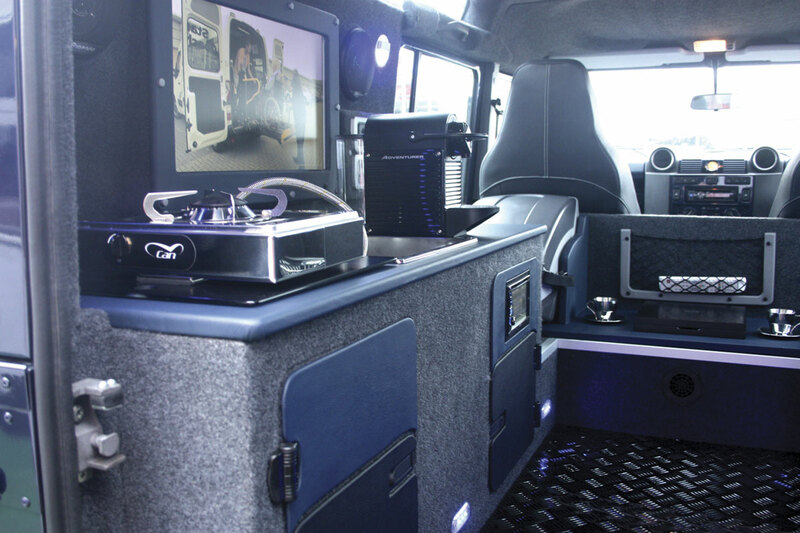 The Ford Transit has always been a main stream product for Stanford Coachworks and although its use is by no means as wide spread as it used to be, it still remains a key model for certain operators. 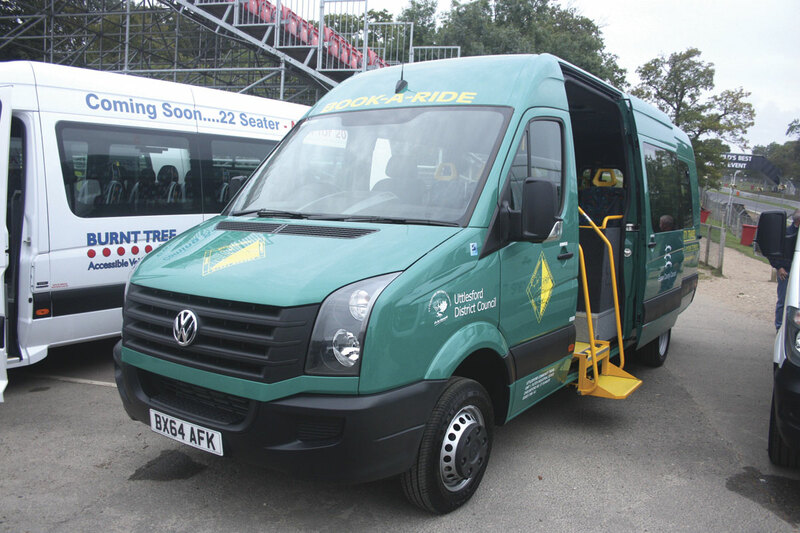 One such is the Lords Taverners and Lady Taverners charities for whom Stanford has built hundreds of accessible minibuses over the years. To demonstrate that long association and the durability of the product they displayed a five year old vehicle. The charities also benefitted from monies raised at the event. 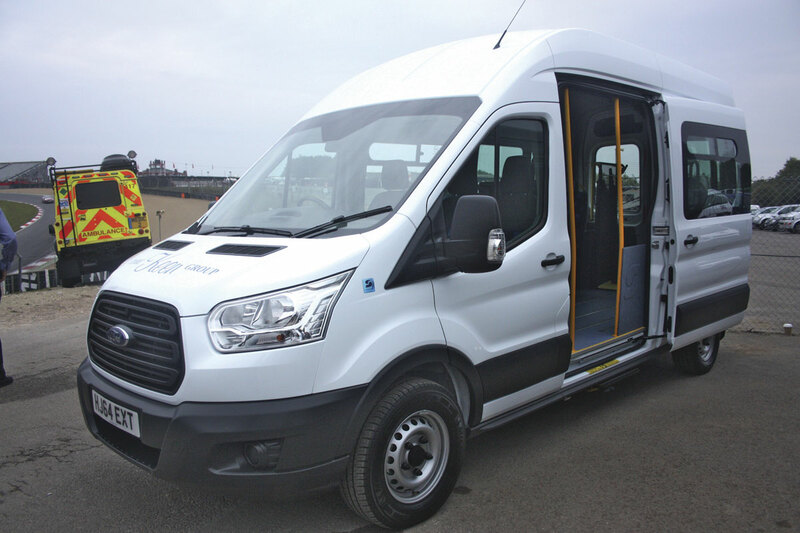 Representing the very latest new Ford Transit range was a high roof, long wheelbase model built for the Keen Group. It featured an extra entrance step and a rear mounted Ricon in-board tail lift. The saloon contained only five passenger seats because the vehicle is permanently engaged on moving passengers in wheelchairs. 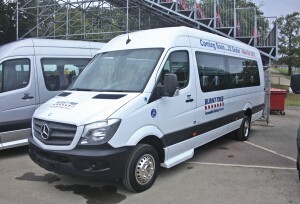 An example of Stanford’s ability to build smaller vehicles was a Mercedes-Benz Sprinter 313 manual for Care UK. This had a sliding door entrance with extra step and a rear mounted Braun tail lift. It was seated for eight passengers or alternatively could carry three seated passengers and two wheelchairs. New large VW Crafters are beginning to become something of a rarity now that Mercedes-Benz has stopped producing them for VW and since VW has yet to announce alternative production arrangements or indeed how they intend to meet Euro VI engine legislation. However, Stanford’s did have one example on show in the form of a Crafter Maxi with manual transmission, built for Uttlesford Community Transport in Essex, the minibus being part funded by Essex County Council. It was handed over to Malcolm Barrell, General Manager and Janice Goodwin, Senior Accountant and Co-ordinator of UCT. Again Mike Gaspar did the honours. It had a side entrance with Stanford’s fold out step arrangement and a PLS in-board lift. 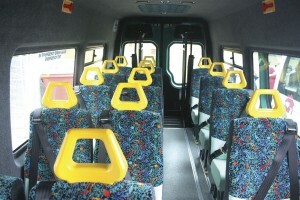 It had seating for 15 passengers or alternatively could seat two passengers and carry five wheelchairs. Stanford also produces really small accessible vehicles capable of taking a single wheelchair. 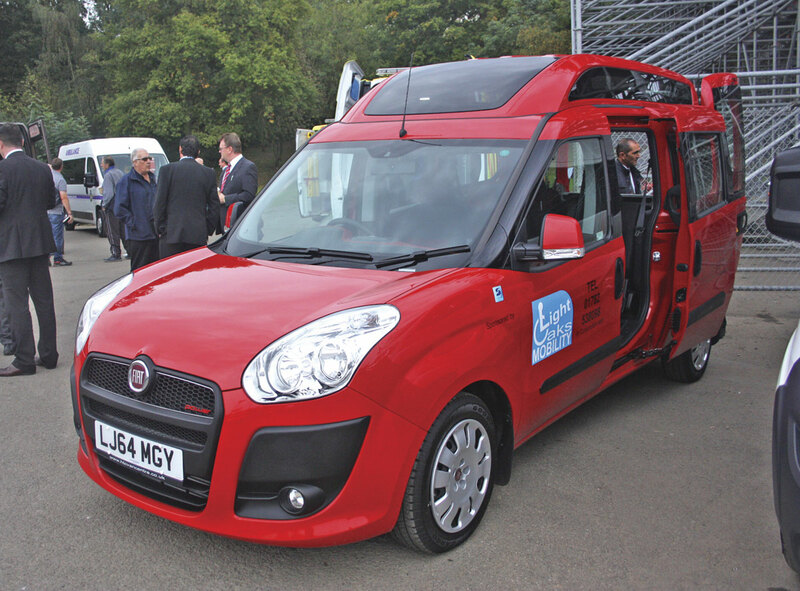 Two examples were on show using the Fiat Doblo base. 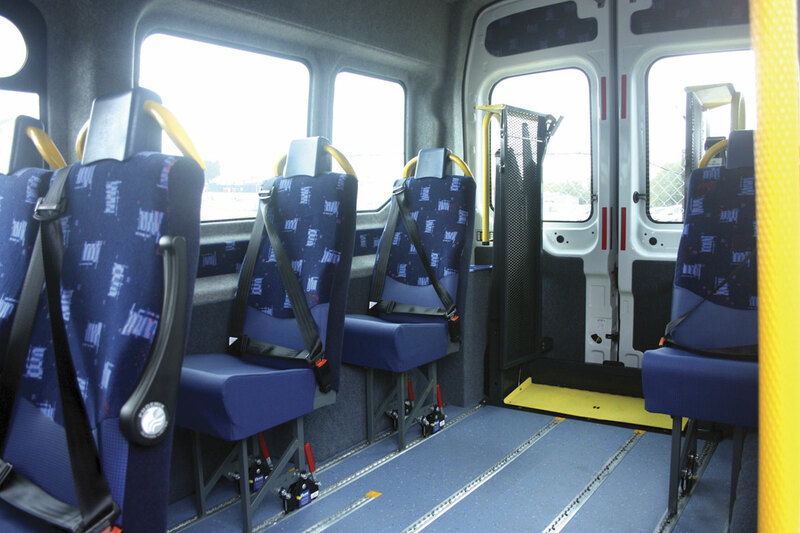 One for Light Oaks Mobility had three seats for ordinary passengers in addition to the dedicated wheelchair space whilst the other for the Procurement Partnership had two. Stanford also produces similar vehicles on the VW Caddy although none were on display. The Fiats use the Lateral Industries ramp system for wheelchair access whilst the Caddys use the AMF Bruns system. Both vehicles employed Q Straint tie down equipment and passenger restraint systems. It shouldn’t be forgotten that Stanford also produces luxury minicoaches as well. Bridging the gap was a 19-seat flat floored accessible Mercedes-Benz Sprinter 513 automatic. 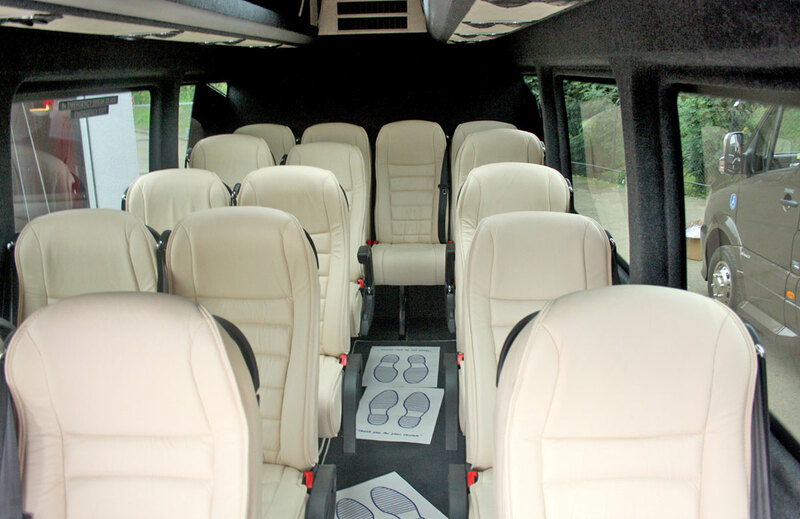 An example of their Monaco range of high specification vehicles, it had luxury seating by Phoenix. A PLS Access Lite underfloor cassette tail lift was fitted at the rear. CTT Training used the minibus for their various demonstrations. The vehicle was also able to carry three seated passengers and six wheelchairs. 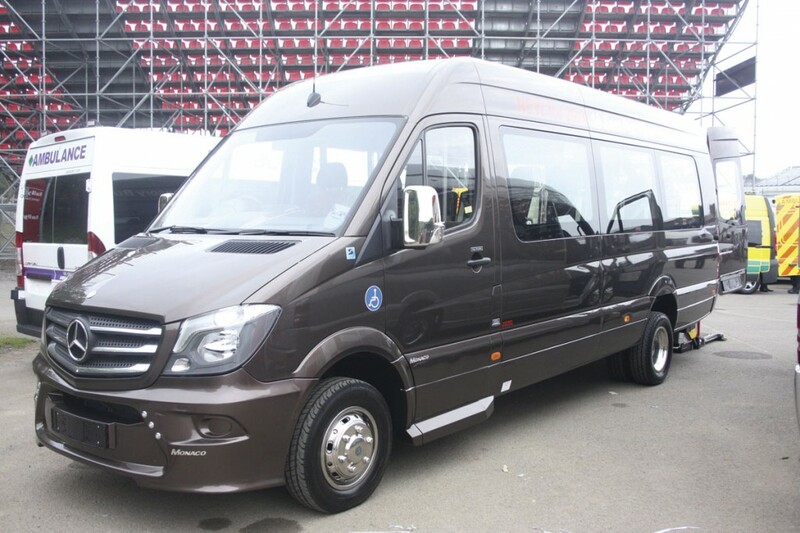 Even more luxurious was another Monaco, this time on a Mercedes-Benz Sprinter 516 automatic. This was fitted with 16 luxury Brusa recliners, air conditioning, parcel racks, in coach entertainment system and a large drop well boot. Emphasising the breadth of their product range was a number of special vehicles. These included four different styles of ambulance. Stanford has become a key supplier of ambulances over recent years. 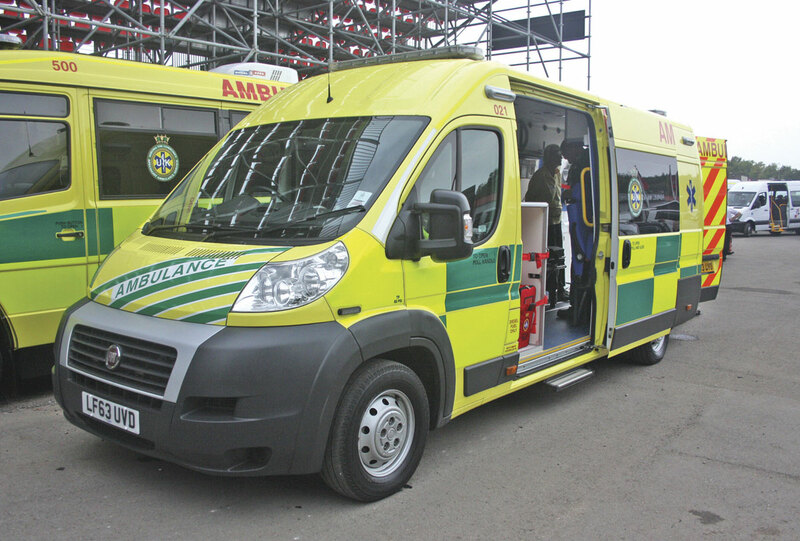 On show were a front line ambulance based on a Fiat Ducato Maxi that additionally had specialist equipment for dealing with bariatric patients where weight and size are key factors. Another ambulance was based on a Renault Trafic. Called a cell van, this was specially developed for transporting mentally unstable patients. Whilst at first the vehicle looked a little strange to the uninitiated by having a lockable cell unit at the rear, a representative of UKSAS, for whom the vehicle had been built, explained that often these patients can be severely disturbed and become very violent and can cause harm not only to themselves but also staff handling them. For this reason they sometimes have to be restrained and need to be carried in secure conditions for their own and the staff’s safety. In addition the vehicle has an area of special seating and facilities for staff travelling with patients. This is normally two of UKSAS’s specially trained carers and a medical nurse trained in dealing with these unfortunate patients. The third ambulance was built on a Citroen Relay and was primarily used for transferring patients between medical facilities. It was equipped to be able to handle patients on stretchers when required. The final vehicle was a Mercedes-Benz Vario Jumbulance able to carry up to four stretcher cases at one time. Other special vehicles were a crew van based on a Fiat Ducato and a luxury motorhome built on a VW T5. This featured luxurious seating including the ability for the front seats to be swivelled to face backwards into the saloon allowing occupants to make use of the in-built table. 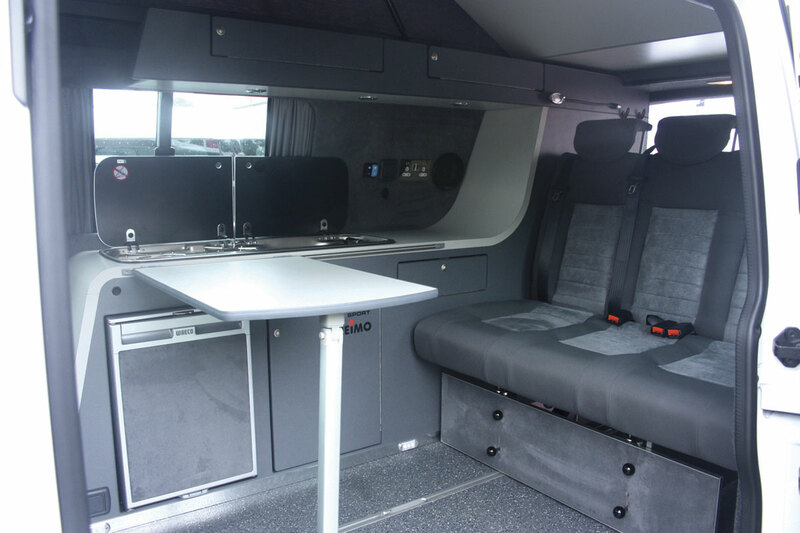 It also featured comprehensive catering facilities, an equally state of the art in-vehicle entertainment system, lift up roof, fold out double bed, full draw curtains and clothes storage. Stanford has built a number of these bespoke units since first showing one some years ago. You can always rely on Stanford to come up with something different and this year it was a Land Rover Adventurer, The rear of the vehicle had been kitted out as a mobile operations base. 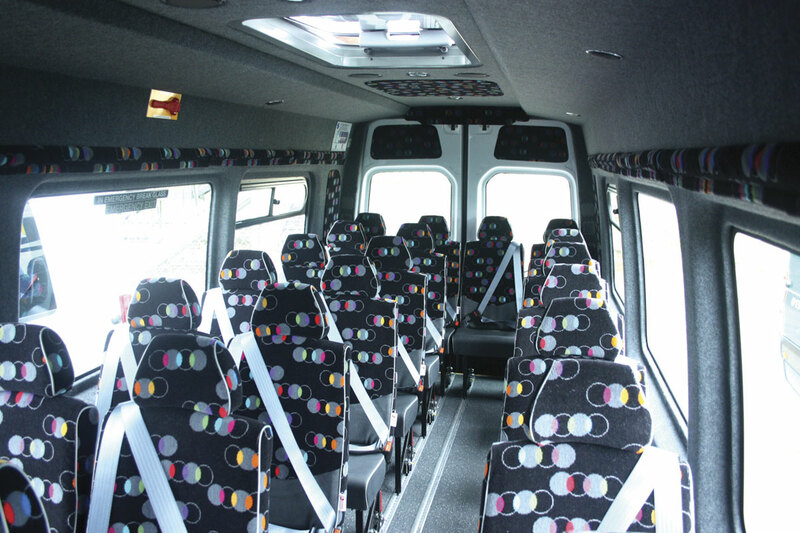 It featured comfortable seating, full catering facilities, and a large TV screen. Lee Wiggins said that it had been designed to address a need for such units identified by individuals that are involved in sporting activities such as motor sports, off-roading, equestrianism and water sports. There was strong support from the supply industry at the event. I can’t recall an event where so many tail lift suppliers were present together. Represented were AMF Bruns, Autoadapt-Braun; PLS, Palfinger Racliff and Vapor Ricon. Other trade supporters were A.T. Industries, Eberspacher, EMR Technology, Koller, NMI, Phoenix Seating, The Procurement Partnership, Q’Straint, Stedall, Unwin Safety Systems and Webasto. Once again a brilliantly executed event, well supported by both the trade and more importantly customers – no wonder there were so many smiling faces amongst the trade staff. Jess and Lee and their excellent team have done it again. What will Stanford Expo 2015 bring?